BENITO's KITCHEN: Katipunan Road, White Plains ~ Food Trip PH finally! Just in time before the workshop started. The workshop is dubbed as "Building, Optimizing and Measuring Profitable Blogs to The Next Level" conducted by SEO Camp Philippines, in cooperation with Benito's Kitchen Mexitalian Goodness, Isang Minutong Smile, Social Media PH, AskPinoyBloggers.com, Get Your Business Online Philippines & Xight Interactive. 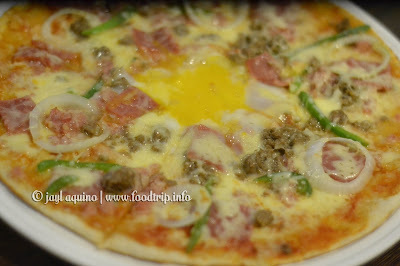 Ala Coron Pizza of Benitos Kitchen consists of ground beef, ham, bellpepper, onion and sunny side up egg. This thin-crust, brick oven baked pizza became an instant fave! It has less oil too. 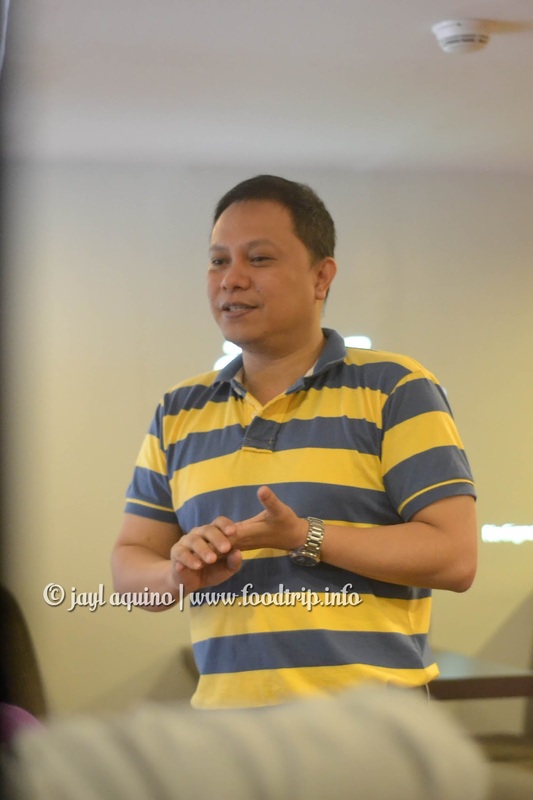 Sir Christian Uybengkee the owner of Benito's saw a pizza with egg on top while in Coron and he recreated it for Benito's. 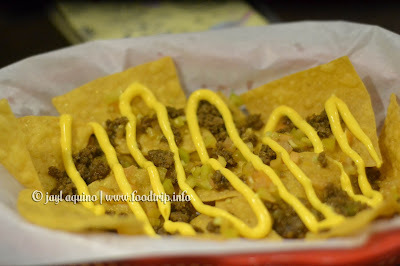 They also have Nachos Supreme, P80.00 per serving. Nothing much spectacular here. 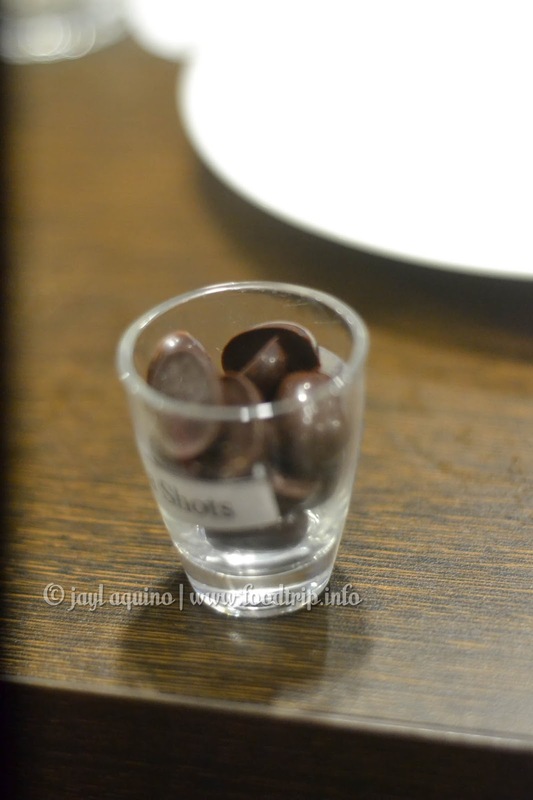 On the left is their soon to be launch product, Cacao Shots which has another variant -- in Mocha flavor. On the right side is their Soft Taco. Yum!!! BENITO's KITCHEN is a fusion of Mexican and Italian cuisines that can be found in a posh location but with an affordable price tags. 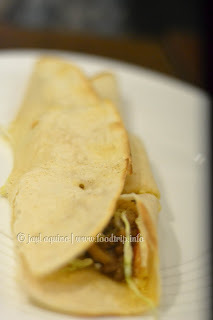 Their Ala Coron pizza is really recommended, I will definitely come back to try more. They offer free wi-fi too! Benitos Kitchen is located at 83C Katipunan Road, White Plains in Quezon City. This is very fascinating, You're a very professional blogger. I've joined your feed and look ahead to seeking more of your wonderful post. Also, I've shared your website in my social networks. Olá, Sim isto parte de escrita é realmente bom e aprendi muitas coisas de relativa blogging. web site , como pode inscrever-se para um blog web site ? tem aqui sobre este post. Eu vou ser voltando para seu site para obter mais informações em breve. Internet unicamente para propaganda dos produtos. Blogging. Punkte hier Sie haben einige berührt. Jede Art unnd Weise halten Wrinting. Ya mejor cuelga la pluma, abordar verdaderamente no es lo que mejor te sale. História da animação privada no 1Brasil.